Between a touchpad that doesn’t click to its aging, fanless processor, the Acer Swift 7 is an absolutely gorgeous Ultrabook – the ‘world’s thinnest,’ in fact – that we simply can’t recommend in a sea of laptops that are far more powerful and not much thicker for the same price or less. 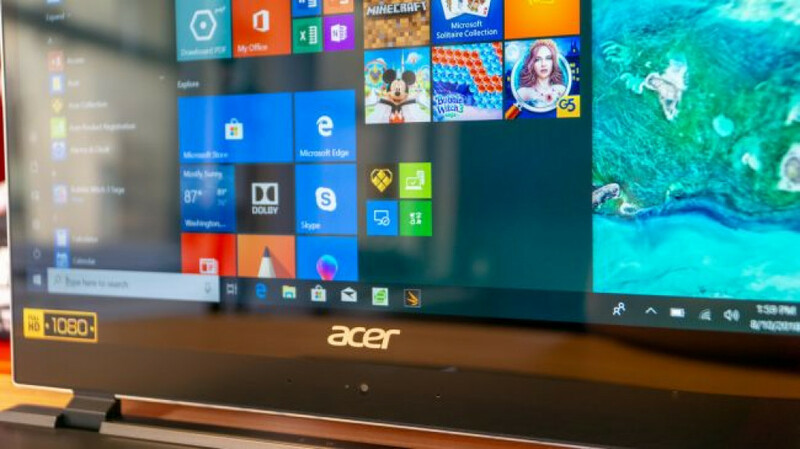 When Acer revealed the Acer Swift 7 2018 at CES, it was billed as the ‘world’s thinnest laptop,’ while packing a larger 14-inch display while keeping the svelte design. Still, it’s clear that the Acer Swift 7 2018 sacrificed too much to retain its thin laptop title this time around. To begin,the Acer Swift 7 2018 uses a unique touchpad solution that doesn’t click – neither physically nor haptically, like the 12-inch MacBook or MacBook Pro. This was done in the pursuit of maintaining that ‘world’s thinnest laptop’ title. Luckily, this move has been scrapped in the 2019 Acer Swift 7. That’s not the only compromise Acer made in the pursuit of thinness. The Acer Swift 7 uses an aging, fanless 7th-generation Intel Core Y-series chip that sees it lag behind the best Ultrabooks. And, while it’s a gorgeous device, and even features built-in LTE compatibility, it’s hard to recommend in the face of so many stronger laptops. Acer sells just one configuration of its new Swift 7 laptop that calls for $1,699 (about £1,281, AU$2,275) in both all-black and black-on-gold color schemes. 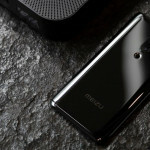 That price gets you everything you see to the right, which includes a fingerprint sensor for biometric Windows Hello login as well as an LTE modem and eSIM built in. Similarly, the HP Spectre 13 is just six tenths of an inch thicker than the Acer model, and features one of the latest Intel Core i7 U-series processors, with directly comparable storage and memory at a cheaper $1,399 (about £1,055, AU$1,873). Granted, the laptop’s display is nearly an entire inch smaller, but the device can be configured with double the memory and storage that the Acer Swift 7 offers for just another 10 bucks or quid. The latest 12-inch MacBook from Apple measures slightly thicker at 0.52 inches, and would cost 50 bucks or quid less to match the Acer laptop on memory and storage and provide a sharper display, though it’s missing biometric login and some screen real estate. Then, there’s the Huawei MateBook X Pro, a 14-inch laptop that’ll set you back just $1,499 (about £1,130, AU$2,000) that completely destroys the Acer Swift 7 from a value perspective. It’s not quite as thin or light, but it’s not that far off for offering twice the RAM and storage as well as a stronger Nvidia GeForce MX150 GPU and a more powerful CPU – oh, and not to mention, a far sharper display at 3,000 x 2,000 pixels. 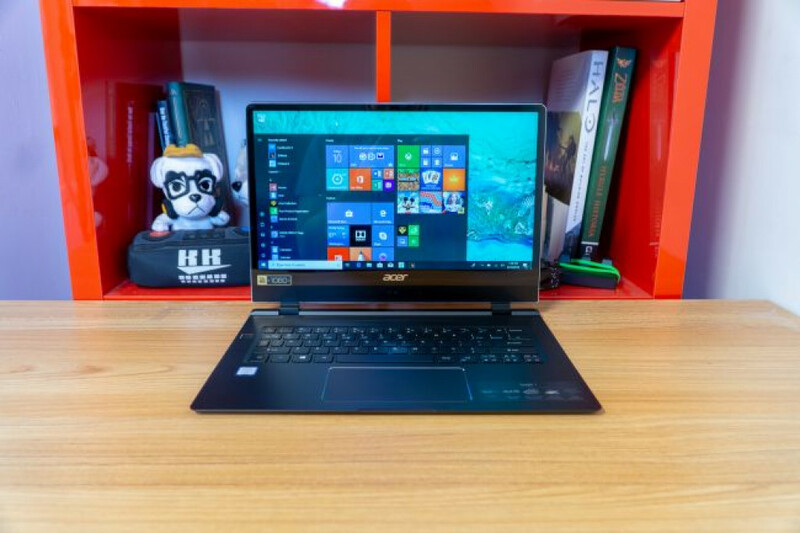 At this point, the Acer Swift 7 just has an unhealthy obsession with connectivity, thinness and mobility – much to the detriment of everything else. You might be able to find some deals that help the Acer Swift 7 carve a decent niche – but it probably won’t be enough. 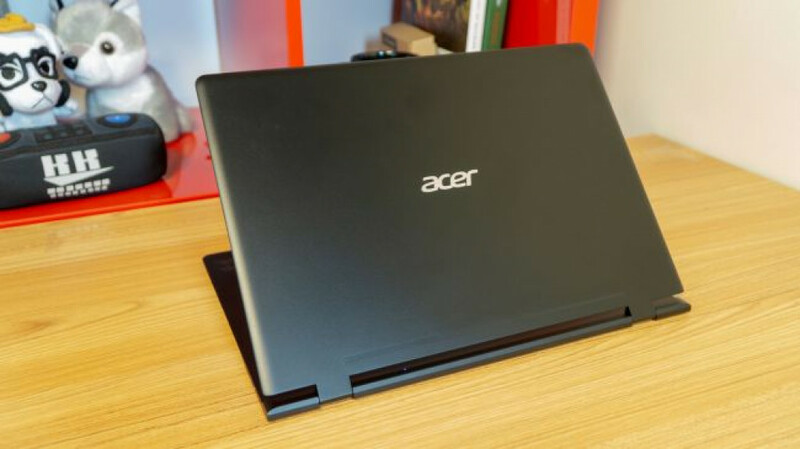 Acer has clearly developed this laptop with thinness, lightness and portability in mind. The Acer Swift 7’s weight comes in at just 2.6 pounds, and it measures just 0.35 inches (8.98mm) thin. This laptop is also quite aesthetically pleasing, encased in an all-black, brushed unibody aluminum shell with two sturdy hinges holding the display in place. Acer’s latest Swift 7 is definitely one of the most luxurious feeling laptops we’ve tested. Even the screen bezels and trackpad are wrapped in chrome bands – and so is the fingerprint sensor. Thankfully, the keyboard on this year’s model is backlit and feels fantastic to type on in spite of the incredibly shallow travel afforded to it. Tuning up the feedback force helped immensely here. However, we cannot say it’s the same for the trackpad. 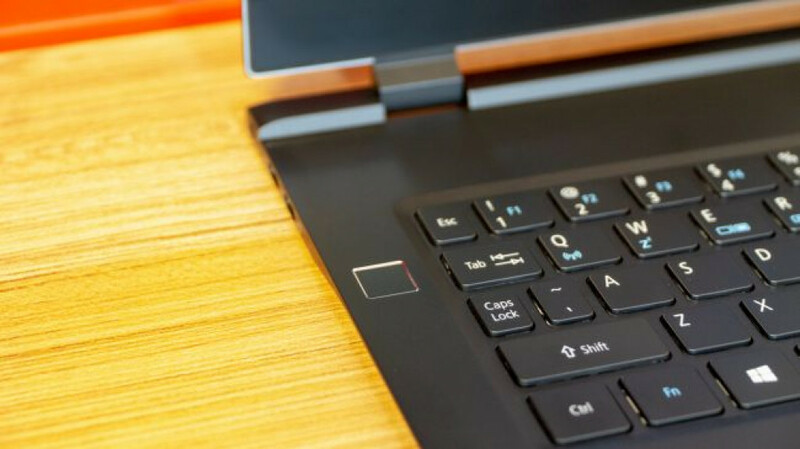 Acer decided to completely eliminate the clicking functionality from the trackpad in the name of landmark thinness. So, you’re left with tap to click as the only means of interacting with Windows 10 – barring connecting an external mouse. This clickless trackpad greatly reduced the speed at which we were able to navigate through Windows 10, preventing us from moving the cursor with our index finger and clicking on items with our thumb, like many laptop users are used to. You really need to think about how important the trackpad experience on a laptop is to you before even considering the Acer Swift 7 – it’s something you’ll be stuck with for the life of the notebook. It was definitely enough to turn us off, it may be for you, too. 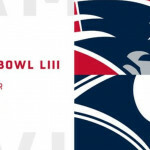 We could go on all day about this odd design decision, but just know this omission presents a serious learning curve or leveling of expectations. Even though we’re devout tap to click fans, we found using the Acer Swift 7 to be a bit painful without being able to click at all. Without it, moving and resizing windows requires precise double taps, which can become a chore. Acer has at least gone great lengths to improve the Swift 7 multimedia experience, but those pursuits have produced new drawbacks of their own. Now, the touchscreen is 14 inches on the diagonal, thanks to far more narrow bezels. The IPS screen makes colors absolutely pop and offers up wide viewing angles for sharing content, which could come in handy when pushing the display down 180 degrees. Movies and still photos look vibrant and crisp through the CineCrystal LED display. However, Acer appears to have been forced to move the webcam to beneath the display in order to reduce the side bezel width. Of course, we’re no less miffed by this on the Acer Swift 7 than we’ve been with that of the Dell XPS 13: centered but beneath the display rather than above it. We’ve seen Ultrabooks achieve similarly thin bezels with normally positioned webcams, so there’s really little excuse here. When it comes to audio, it shouldn’t come as a surprise that it’s poor coming from the Acer Swift 7’s thin frame. The laptop’s design leaves room for only the smallest audio drivers that fire from the bottom of its base, leaving you with tinny and thin sound in movies and music. Just be grateful that Acer didn’t kill the headphone jack in making the world’s thinnest laptop. For costing as much as it does, the Acer Swift 7 specs and performance aren’t quite what we’d expect. 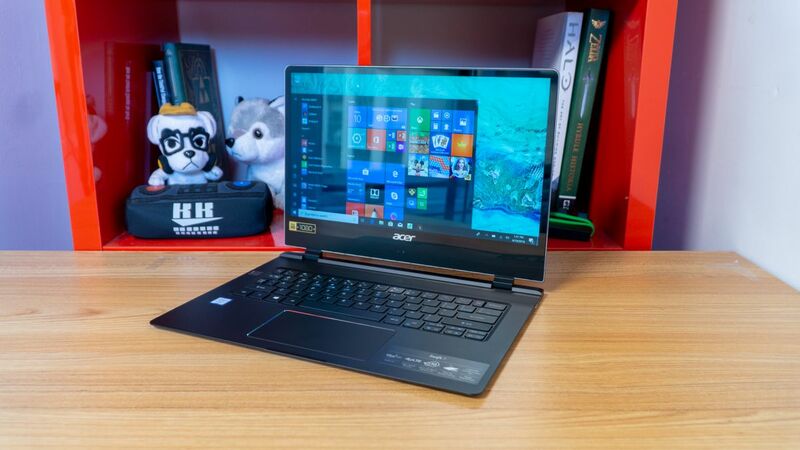 The Intel processor inside this laptop has two major factors working against it when it comes to performance – it’s 7th-generation chip that’s been easily outclassed by the 8th generation, and it’s Y-series chip – one designed for low-power, fanless devices. While there’s nothing wrong with such a processor, the problem is that this laptop’s key competitors in this price range aren’t that much thicker and heavier for using full-blown Intel U-series processors … and are so much more better off for it. 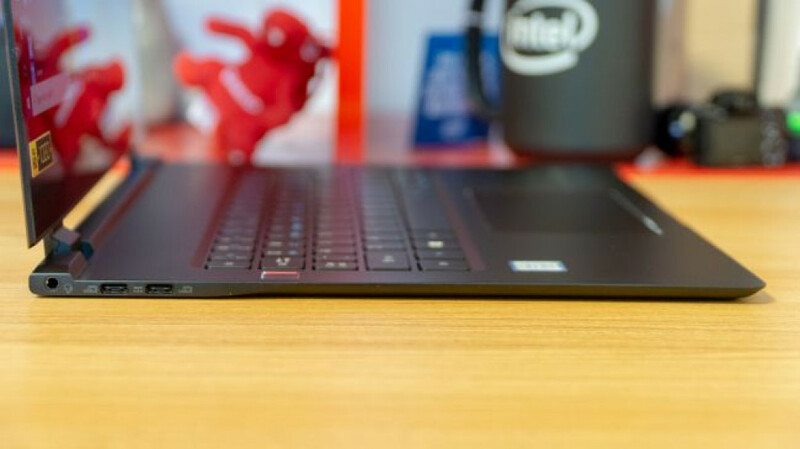 As you can see by the benchmarks, the Swift 7 is outclassed by the Spectre 13 in every performance-based benchmark – and that laptop is merely six-tenths of an inch thicker (and actually a hair lighter). This is largely because the HP laptop uses an 8th-generation, U-series full-fat Intel processor to the Swift 7’s older, lower-power chip. You can see the same story play out across comparisons, where the Huawei option especially outpaces the Swift 7 with its dedicated graphics. Even the 12-inch MacBook produced similar performance numbers with a weaker Intel m3 processor from the same generation, likely on account of how much more Apple can tune its computer hardware to the software. By all accounts, the Swift 7 simply does not produce performance that is comparable to rivaling laptops that come with similar price tags or are available for even less. We even see a bit of sluggishness from the laptop when opening ad-filled web pages and when loading large media files. For being just tenths of an inch thinner than all the rest, the Swift 7 sure does lose out on a lot. That said, we do find the Swift 7 to bring forth some fantastic battery life figures, even if they’re unsurprisingly behind Acer’s own promises. 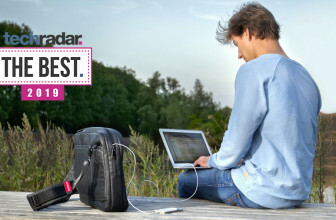 While Acer claims up to 10 hours of use from the laptop, we’ve seen it last a little more than an hour less than that. You’re likely able to get an entire work day’s worth of use out of this laptop; of course, assuming the tasks involved are all relatively lightweight. Meanwhile, we’ve found the more powerful MateBook X Pro and more popular MacBook to last just as long in our benchmarks – both of which can be had for less than this laptop. Two of the most compelling features about the Swift 7 are its biometric login and cellular connectivity. The biometric login comes via a fingerprint sensor that’s embedded into the keyboard deck left of the Tab key. The setup for this fingerprint sensor is just as simple as on other Windows laptops, and it works beautifully. The placement is also easy to appreciate at a time when some brands are still embedding fingerprint sensors and other bizarre places. 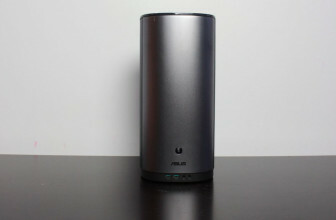 The onboard LTE connection is handled via an Intel modem using an electronic SIM card, or eSIM, which is connected to a global cellular network by Transatel known as Ubigi. Every Swift 7 comes with a 1GB, one-month free trial of the service. After that, you’ll have to sign up for a data plan, with nearly every region – but most of Africa, some of central south Asia, chunks of South America and all of Australia – within its coverage area. The service works great outdoors, but it gets pretty bogged down within thickly-walled structures, as is the case with most of New York City. Still, the convenience of onboard LTE isn’t lost on us, though we wish we could just sign up with one of the major US carriers we already have a phone plan with for added convenience. The Acer Swift 7 is the result of Acer’s hellbent journey to make the next “world’s thinnest” laptop. It definitely got there and can put that string of words on the box, but what kind of product did it result in? 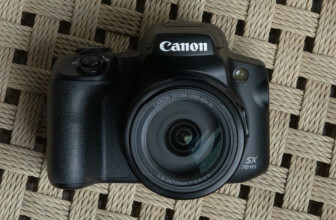 Frankly, one that’s far to easily outpaced and outpriced. You may have the world’s thinnest laptop if you’re to pick up an Acer Swift 7, but you also have a laptop without a properly working trackpad. You also have a laptop that isn’t as powerful as others that are cheaper, and not that much thicker or heavier, while still looking just as premium. While we admire Acer’s excellent product design chops brought to bear in the Swift 7, we can’t confidently recommend you buy this laptop unless you must absolutely fulfill your desire to own the thinnest laptop.